It is a fascinating fact that most Western and some western Asiatic are based on the same ancestral tongue.Mallory discusses his linguistic theories while offering archeologic and geographic evidence to support them.He calculates that sometime between 4,000 and 6,000 B.C. a horse people, probably native to the steppe somewhere north of the Black Sea, produced a linguistic revolution destined to swallow ancestral languages from northern India, ancient Hatti [Hittite Empire] and almost all of Europe excluding only Finland and the land of the Basques.Hungary, which may have once shared a variant of the Indoeuropean tongue, was linguistically affected by later invaders especially the Huns of Attila. Despite the fact that 'Indoeuropean' has since morphed into dozens of languages as distinct as Celtic, Russian, Greek, German, Latin, Spanish, French, Italian and Roumanian, they apparently all started as the same language affected by original languages and time.Mallory speculates on this incredible linguistic phenomenon--peaceful diffusion vs military ocnquest.I rather suspect the later.During late prehistory--before people could write of their experiences--there must have been a military juggernaut--a military and linguistic steamroller--perhaps similar to that of other Eastern invaders like the later Huns and Mongols, that radiated centifugally to conquer out vast territories.The conquerors would have left rulers and occupying nobles behind, although apparently not enough to significantly effect the ethnic composition of peoples as diverse as Indians and Norwegians.Like the Roman Empire, which occupied Gaul [now France], Spain and Italy, the Indoeuropeans left the indelible imprint of language. If this is correct it makes us wonder how occasional peoples, like the Basques in the Pyrenees and the Finns in their taiga, could have withstood the linguistic impact of such a tidal wave. This book debuted in the 1980's and was probably reasonably current at the time.It explores the general questions relating to the question of who the speakers of Proto-Indo-European were, and when and where they lived.It is a generally interesting and useful book for people who are not well versed on the subject (although Mallory takes a general knowledge of phonemes for granted). 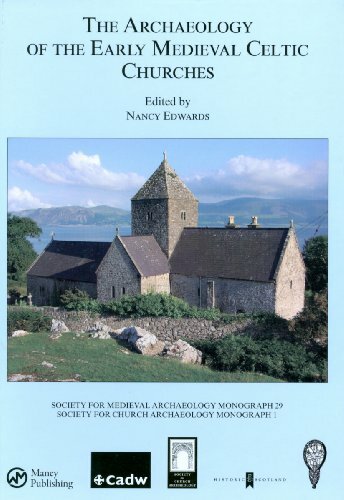 This work is a classic for which there is no simple replacement today.However, it was written over 20 years ago, and the fields involved have advanced considerably in that time.New, and better, models of how the Indo-European languages are related to eachother have been developed, and better approaches to the question of archaeological confirmation of specific Indo-European home lands have also been found.Hence while I would highly recommend the world, I must point out that it is still best suited to introducing someone to the field which would then be followed up with later study. Linguists define "Indo-European" as a language entity or unity from which all Indo-european languages derived. By analyzing linguistic patterns of change, scholars can "reconstruct" the language and situate it in a time period when it was a unified language. The task is then to provide this abstract language entity with a living group of people and a homeland. 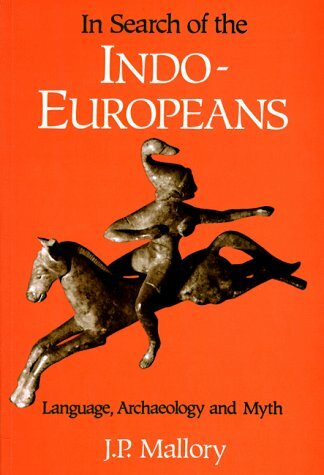 The first chapters and the last ones, where the author presents the problem, geographically locates where Indo-Europeans are to be found and where he draws some conclusions, are really good. He lost me a bit in the middle, where the book acquires a "scholarly" taste (by this I do not mean difficult to understand); I mean that the author does not get carried away by his own hypothesis. He explains all the existing ones and then proceeds to present the evidence for and against each, mainly from the linguistic perspective, but also considering evidence from other areas (comparative philology, archeology, comparative mythology, etc.). For each hypothesis, evidence was found that contradicted it and I felt that no matter how many pages I read, we were as far from the "promised homeland" as in the beginning. In the end, no hypothesis is conclusive, but the one in which the contradictions could be "bridged" more easily is pesented as the most probable one. In his conclusion, the author himself kind of apologizes for having lead the reader through a lot of "cul de sacs". I myself prefer when an author writes more like fiction telling a clear and unified story at the expense of maybe drawing conlusions a bit to far. Then you can still read his opponent's book to have a more complete picture and enjoy both. All in all, I learnt a lot from this book, for example, how do you analyze nomadic groups from an archeaological perspective if they left no "settlements"? Well, the answer is that they might have left some cemeteries or lonely graves and luckily some "gifts" for the deceased, as well as some ritual places or camps. The maps in the book are very useful. 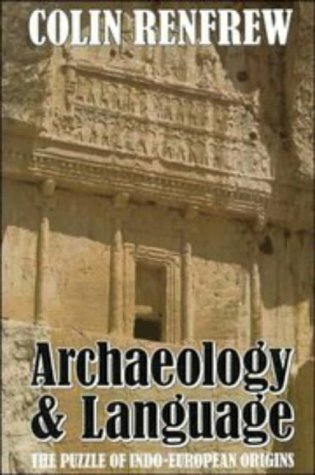 This book is very scholarly:it gets extremely detailed about comparative linguistics as correlated with the archaeological record.I was looking for exactly that, as I have been curious about this for many years. Unfortunately, the book errs more in the direction of academic rigor and offers far too little as a story-telling experience. As such, while the content is truly fascinating, it get mired in details from the names of obscure archaeological sites that are not on the book's lousy maps to the particular scholars who are advancing certain points of view about a certain common word. Bottom line:it isn't very fun. However, I learned an immense amount and am glad to I read it.The Indo-Europeans emerged in about 4000 BC, a pastoralist "people" in the Pontic Caspian area.Unlike sedentary agriculturalists, they migrated both to Europe (North and West) and South into India.They had a common vocabulary and language, a mythology with motifs that have survived to present in many cases (like divine twins), horses (a decisive advantage for warriors and nomads), and certain advanced technologies (chariots and agricultural implements and practices).These attributes enabled the Indo-Europeans to absorb an astonishing array of peoples in the areas of their migrations.Then once more sedentary, their languages became the roots of all the modern I-E languages, clearly the most commonly spoken of all the world's languages.The great contribution of this book is the merging of linguistic and archaeological observations, that is, how roots from the original I-E language correlates with objects and the landscapes they encountered. For the curious, there are many many wonderful details.For example, the Persain language group generated quite a diaspora.In addition to the Iranians, you had the Alans (later the Ossetians), Medes, Parthains, and Scythians; they ranged from Aisa minor to Spain and N. Africa.The book follows their migrations and histories quite succinictly.It is very fun, as most of them are mentioned n classical histories but many are never differentiated other than being non-Greek.The book also traces how the Finno-Ubrian and Basque languages remained non-I-E. I would recommend this book, but it is more for students of linguistics and/or archaeology than interested laymen. 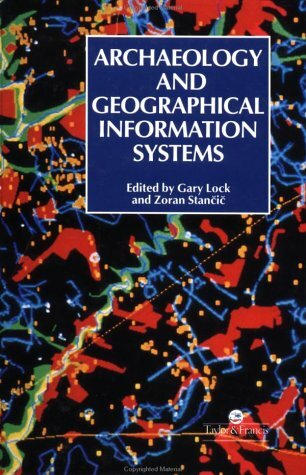 A. Richard Diebold, Jr.: Linguistic Ways to Prehistory; Winfred P. Lehmann: Linguistic and Archaeological Data for Handbooks of Proto-Languages; János Nemeskéri and László Szathmáry: An Anthropological Evaluation of the IE Problem; Nikolai Ja. Merpert: Ethnocultural Change in the Balkans in the Eneolithic; Sándor Bökönyi: Horses and Sheep in the Copper and Bronze Ages; Homer L. Thomas: The Indo-Europeans-Some Historical and Theoretical Considerations; János Makkay: The Linear Pottery and the Early Indo-Europeans; Eric P. Hamp: The Pig in Ancient Northern Europe; Ralph M. Rowlett: Grave Wealth in the Horodenka Group; Christopher Hawkes: Archaeologists and Indo-Europeanists-Can They Mate? ; Edgar C. Polomé: Who are the Germanic People? ; Gregory Nagy: The IE Heritage of Tribal Organization-Evidence from the Greek polis; Bruce Lincoln: On the Scythian Royal Burials; Calvert Watkins: Linguistic and Archaeological Light on Some Homeric Formulas; T.L. 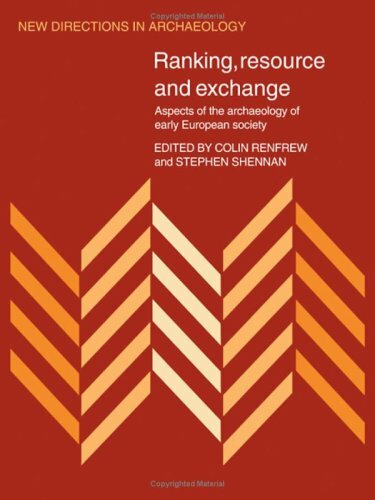 Markey: Morning, Evening, and the Twilight Between; Wolfgang P. Schmidt: `Indo-European'-'Old European'; Colin Renfrew: Old Europe or Ancient Near East? Clay Cylinders of Sitagroi; Edgar C. Polomé: Marija Gimbutas, A Biographical Sketch. Cultural identity is a key area of debate in contemporary Europe. Despite widespread use of the apst in the construction of ethnic, national and European identity, theories of cultural identity have been neglected in archaeology.Focusing on the interrelationships between concepts of cultural identity today and the interpretation of past cultural groups, Cultural Identity and Archaeology offers provocative archaeological perspectives on the debate surrounding European identities. This book argues for an Anatolian "Urheimat" (original homeland) for a core group speaking what would spread out laterally across Europe and Central Asia into the Indo-European languages. He rejects much of the competing theory of Marija Gimbutas for a "Kurgan" culture from the steppes; he also dismisses identification of Indo-Europeans with massive invasions of horse-drawn charioteers who swept across the plains east and west spreading their warlike language. Instead, combining patterns of a branched family tree with a "wave" model of concentric circles of expansion by language families, Renfrew constructs an direction that shows how IE could, starting about 6000 BCE, have spread according to the laws of linguistic evolution at steady rates morphologically and phonetically, have become the familiar tongues we speak today. I found this study rather stodgy. The Anatolian discussion takes up far less of the book than you might expect from the reviews on Amazon before mine. Renfrew's wide ranging, and the whole IE search for origins occupies only a part of a larger effort to take his fellow archeologists to task for ignoring or misinterpreting linguistic evolution within the artifacts they excavate. 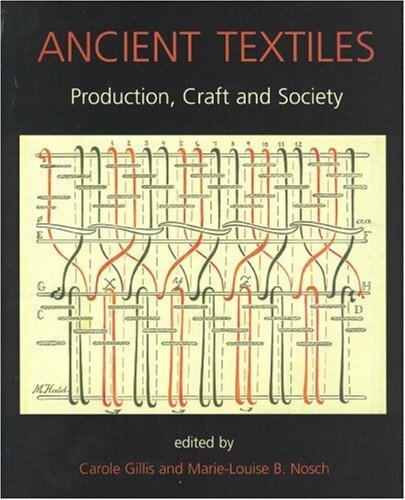 The pace of the book's slow, if the facts stay abundant; the style of the methodological marshalling of so much archeological, linguistic, and comparative cultural data turned often leaden. Any work written for a non-specialist that addresses recondite debates and learned contentions may run the risk of such arcane discourse. But, Renfrew, while no natural tale-teller, remains convinced of his iconoclastic assertions, and if you are committed to understanding this subject, this and J.P. Mallory's near-concurrent "In Search of the Indo-Europeans" represent crucial texts on the origins of IE. While I'd been meaning to read Renfrew for a long time, what impelled me to finish it was the appearance in 2007 of David W. Anthony's "The Horse, the Wheel, and Language," which proposes a Pontic steppe origin in Russia and southern Ukraine for the riders who took Proto-Indo-European across the plateaus as an "elite" language of poetry about a male sky-god and began to leave its traces with other peoples who then began cultivating PIE. As Renfrew wrote nearly two decades before Anthony, I was curious to see if I could find anticipations of Anthony's theory in Renfrew. I prepared to understand Anthony's OIE elaborations by first learning from how Renfrew built his foundation. He discourages the findings of linguistic paleology. He warns in matching cognates of Sanskrit "ratha" with Latin "rota" that it's "a far cry from saying that some hypothetical Proto-Indo-Europeans used chariots with wheels (or indeed carts with wheels) in their original homeland." (86) Also, he discourages Gimbutas' far-reaching establishment of a PIE Russian-Ukraine "Urheimat" to better assert his competing claim-- based on analysis of early Greek-- for Anatolia. The liveliest part of the work remains for me the incorporation of Christopher Hawkes' "Cumulative Celticity" theory that Renfrew adapts to his wave-family tree (stammbaum) plotting for PIE. He denies that the La Téne artistic style presents a hub in Central Europe for the migration of Celts, shows how that noun can be defined eight ways, and favors Myles Dillon's reasoning that fundamental language changes began "in situ" in the places we find Celtic languages developing historically, rahter than emanating from a Continental center through massive migration or war. Therefore, the Iberian (Hispano-Celtic) or Goidelic (Q-Celt) branches of ancient Celtic languages stayed far enough on the Atlantic fringes that they did not alter with subsequent innovations that warped other Celtic varietals into insular Brythonic (P-Celt) or Western European Gaulish forms attested to in the historical record. Finally, well before the genetic applications suggested by DNA comparisons with language from Stephen Oppenheimer ("Origins of the British," 2006), Renfrew predicts in passing that in Britain prior to the withdrawal of the Romans already many people may have spoken a Germanic language (137). However, Renfrew discourages in this pre-Genome Project breakthrough in genogeography a trust in such efforts as pioneered Luigi Cavalli-Sforza: "I think experience has shown that genetic arguments in relation to language and culture quite readily lend themselves to misleading interpretations." Still, the "wave of advance maps" such earlier scholars charted with their mapping of "various blood groups in Europe, suggesting genetic affinities," Renfrew finds may "await further assessment," which two decades later appears to be occuring with scholars such as Cavalli-Sforza, Oppenheimer, and Bryan Sykes, to name only three of those addressing their findings for a wider audience. This is an excellent iconoclastic overview of an often maligned people who were to provide the basis for western civilization.Although Mr. Renfrew comes across as a reasonable scholar - often noting the tenuousness of his own conclusions and fairly articulating opposing views - he is vilified by the old guard - the Gimbutas gang of western-bashing renown. Another reviewer cites Mallory's work, In Search of the Indo-Europeans, as a more scholarly and correct work. I do encourage others to read it.Note how many paranoid attacks are made specifically of Mr. Renfrew (by name).It is almost as though he believes Mr. Renfrew has the intellectual high ground and he must resort to ad hominem tirades instead of reason to bolster his tottering old viewpoint. Mr. Renfrew's detractors have certainly missed the forest for the trees.All of archeology and historical linguistics is glued together with speculation - so, rather than arguing over arcane details it is sometimes good to resort to reason. Mr. Renfrew's reasoning, void of political correctness, is refreshing and enlightening. ARCHAEOLOGY AND LANGUAGE is Colin Refrew's presentation for laymen of the problem of the linguistic affinity of most of the peoples of Europe and ancient Western Asia. Written by a scholar influenced by Britain's current disbelief against historical migrations, Renfrew argues that common linguistic elements spread through the ancient world not through the sudden invasion of a single people, but through the peaceful spread of agriculture out of Anatolia. On one hand, it is nice to see a challenge to Marija Gimbutas theory, which got increasingly weird the longer she articulated it, that the Indo-Europeans were bloodthirsty patriarchal invaders who swept into matiarchal and peaceful old Europe introducing war.Renfrew, however, goes to far in the opposite direction and the work has serious problems, many of which are common to the works of Renfrew's school. The author has no problem speaking of the occupation of the Carpathian basin by the Magyars, and presumably he believes in recent Turkic migrations, but he refuses to accept migrations in pre-historical times. One of his three points against an South Russian origin is simply "It is a migrationist view." The Indo-Europeans are a people uniquely identified with horsemanship--look at the popularity horses in Greek and Germanic onomastics, and the words for "axle", "yoke", and "horse" itself are common to nearly all branches, so moving over long distances would certainly be within their reach. Yet, Renfrew asserts that there is no evidence that horsemanship was important to ancient speakers of IE languages. Renfrew is also not a very committed historical linguist. His presentation of family trees is overly simplistic, with flat-out inaccuracies such as saying that German is descended from Gothic and all of the Slavonic languages from Old Church Slavonic. He seems to be quoting mostly from introductory handbooks of comparative IE linguistics instead of speaking from deep personal familiarity. The only authorities I would really trust to present this material are either amazing polymaths who are simultaneously excellent archaeologists and linguists, or archaeologist-linguist collaborations. If you are interested in the fascinating question of IE origins and the various solutions which have been proposed, I'd recommend J.P. Mallory's IN SEARCH OF THE INDO-EUROPEANS, which is not perfect but does a good job of showing many viewpoints. Yes, the Anatolian origin for Indo-European is questionable at best, and most scholars don't believe it; neither is it supported by any independent data based on physiology, such as blood grouping studies, that I know of.Unfortunately, it is necessary for Professor Renfrew's time line that the point of origin be west of the areas usually recognized. However, there is something compelling about his picture of the spread of language through expansion more than through migration and invasion.The idea of large numbers of fairly primitive tribes leapfrogging hither and thither almost at random through Europe displacing, defeating, and/or giving language lessons to any indigenous populations they encounter is neither attractive nor elegant. In either case, this book is engagingly written and can be understood and enjoyed by anyone with an interest in the subject. Even if the theory is not valid, there is much food for thought here; reading it is time well spent. This book is a truly superb ethnography, for a number of reasons. "Chumash," originally a name for the people of the islands off Santa Barbara, became in the 19th century a general term for the speakers of several closely related languages in Ventura, Santa Barbara, and San Luis Obispo counties, California.Along with their neighbors, especially the Tongva (Gabrielino), they created an astonishingly complex, elaborate, and rich society based on managing wild food stocks rather than on agriculture.They burned grasslands to produce fire-following annual seed plants, cultivated bulb and root plants, and managed nut trees for their products.They also fished, using plank canoes. They have been interesting to anthropologists for over a century, because they created a society with large towns, chiefly hierarchies, occupational specialization, true money (made from clamshells), and hereditary elites, all without agriculture.They may even have had whole towns (on the islands) depending on imported staple foods (from the mainland), producing specialized manufactures to pay for the food. Earlier cultural-evolutionary models held this to be impossible.Such models are long abandoned, but the Chumash are still interesting, not least because we still don't understand quite how or why they did all this. One key was managing the vegetation comprehensively, and Lynn Gamble discusses this in detail, with current controversies well covered. Lynn Gamble does a meticulous job of telling what we know about the Chumash of the mainland coast, using her own archaeological research, and also the huge amount of data available from other archaeology and from early ethnographic work.Most of the latter was done by John Peabody Harrington, who had a true obsession with Chumash culture.She also draws on biological anthropology (skeletal analyses, medical demography) and linguistics, thus harmoniously integrating all the classic "four fields" of anthropology.Anyone needing evidence, for their local anthro department, that four-field anthro is not only not dead but is still far superior than the alternatives, need only turn to this book for proof. This book joins a number of extremely important recent books on the Chumash, by John Johnson, Jan Timbrook, Douglas Kennett, and several others. The Chumash were once written off as extinct, but have come roaring back, and now have several organizations (and of course a casino).Current Chumash life is outside the scope of this book, but will soon be better reported, thanks to ongoing work by several students. 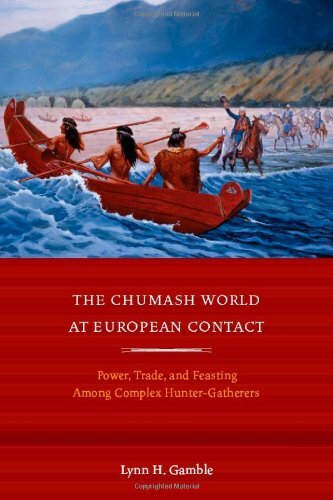 The interest of Gamble's volume, however, goes far beyond Chumash or California studies; it is a model of how archaeologists can deal with and write about complex local-level societies. 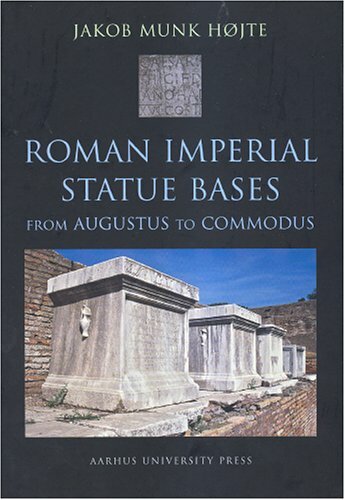 The study of Roman imperial statues has made remarkable strides in the last two decades. Yet the field's understandable focus on extant portraits has made it difficult to generalize accurately. Most notably, bronze was usually the material of choice, but its high scrap value meant that such statues were inevitably melted down, so that almost all surviving statues are of stone. 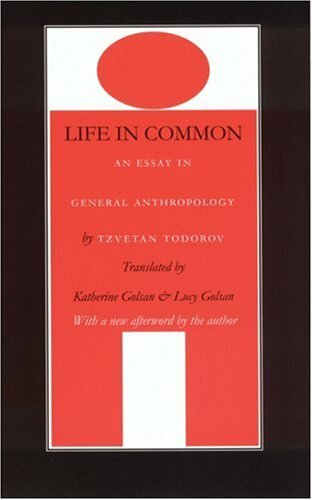 In Life in Common Tzvetan Todorov explores the construction of the self and offers new perspectives on current debates about otherness. Through the seventeenth century, solitude was considered the human condition in the Western philosophical tradition. The self was not dependent on others to perceive itself as complete. Todorov sees a reversal of this thinking beginning with the writings of Jean-Jacques Rousseau in the eighteenth century. For the first time the self was defined as incomplete without the other, and the gaze no longer served only to satisfy personal vanity but constituted the fundamental requisite for human identity. Todorov traces the far-reaching implications of Rousseau's new vision of the self and society through the political, philosophical, and psychoanalytical theories of Adam Smith, Georg Wilhelm Friedrich Hegel, Georges Bataille, Melanie Klein, and others, and the relevant literary works of Karl Philipp Moritz, the Marquis de Sade, and Marcel Proust. In an original study of the bond between parent and child, Todorov develops a compelling vision of the self as social. I found this to be an excellent book.It is pleasantly written and has good maps and diagrams which relate to the text.I envy Pryor his lifestyle.I think this is a good introduction to both history and archeology.It is an overview of the subject as it pertains to Britain.It invites the reader to delve more deeply into particular areas of the profession.The subjects of history and archeology are so wide that the serious student must specialise. It would be a good text for a first year university student in either discipline.I will probably seek out more works by Pryor. Buried deep in this fine work is Francis Pryor's pondering of the question, how much of a 'revolution' was the Industrial one? The question indicates the theme of this book, which stresses continuity.Change was present, but often under very controlled circumstances.For Pryor, an archaeologist-writer who offers his ideas with wit and conviviality, the theme is "continuity" over "revolution".It's easy to highlight changes in a social scene, but as a man dedicated to hard evidence, the background is more important.Here, in the last of a string of books on what his science has found in Britain, continuity is the dominant theme. 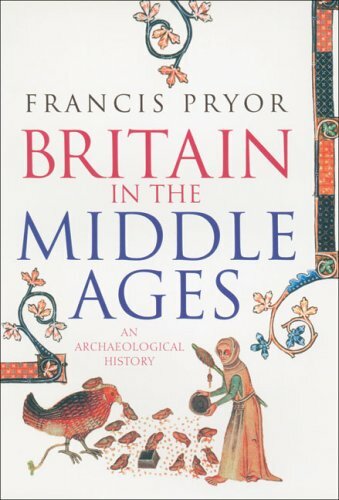 Pryor launched his concept with "Britain BC", carried it through with post-Roman times in "Britain AD" and now arrives at the Christian-dominated Middle Ages.The change in religion had little impact on the daily transactions throughout Britain, with the likely shift of taxes from manor to chapel.The time-frame for this book begins about 650 CE and ends with the death of Henry VIII in 1547 CE.Nearly a millennium of time, with plenty of opportunity for "revolutions" - yet no major shifts in daily existence are in evidence.Henry's sequestration of the monasteries produced little in the way of disruption for village or town folk.As Pryor notes in the beginning, the book is about "hedges and fields, waterfronts and trade" rather than about the antics of monarchs or aristocrats.The Black Death had much more impact on society than any of the royals.Apart from the mortality, the economic shifts resulting from this plague were of far longer-lasting significance. Even before the plague struck, agriculture and manufacturing led to early "free trade" agreements, even reaching across the Channel. Pryor finds such arrangements indicative of wider awareness and interaction than most "classical" histories have granted.Moreover, it's not treaties and other documents that he uses to make these points, but archaeological finds that provide hard evidence of what was transpiring in Britain in the Middle Ages.The Viking and Norse incursions carried a good many people into Britain, but after the initial raids, they came to stay and settled in nicely, thank you.If anything, the Norse' sea-faring skills more likely expanded existing trade arrangements, than disrupted commerce. 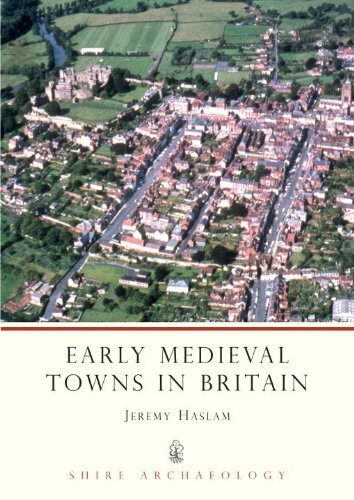 Pryor's chapters on urban life are the highlights of this work.After the Norse had become part of British society, population growth became a significant part of the social scene.Numbers rose to a height just before the Black Death that were not attained again until the 16th Century.The author selects various towns, describing their social and economic reactions to the plague and its aftermath.Drawing on his own observations and that of many other workers of recent generations he depicts a scene of nearly continuous development.York, in particular receives detailed attention for a span of nearly five centuries.York has provided a rich archaeological trove for the period - a rising trade community with a reach to distant places.